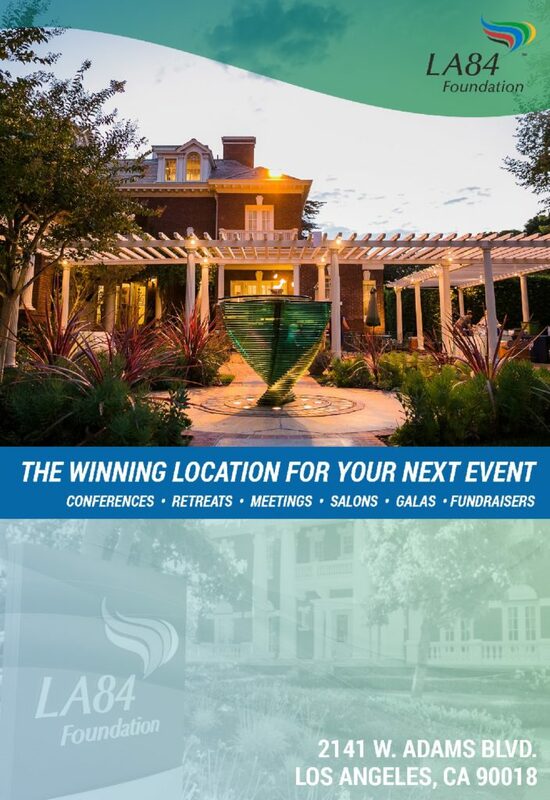 BUENOS AIRES, ARGENTINA — LA84 Foundation President and CEO Renata Simril is one of only four people from around the world to be selected to participate in the Sports at the Service of Humanity Young Leaders Mentoring Program. Japanese religious leader and businessman, Dr. Haruhisa Handa, helped launch the program through the International Sports Promotion Society, a non-profit organization he co-founded. 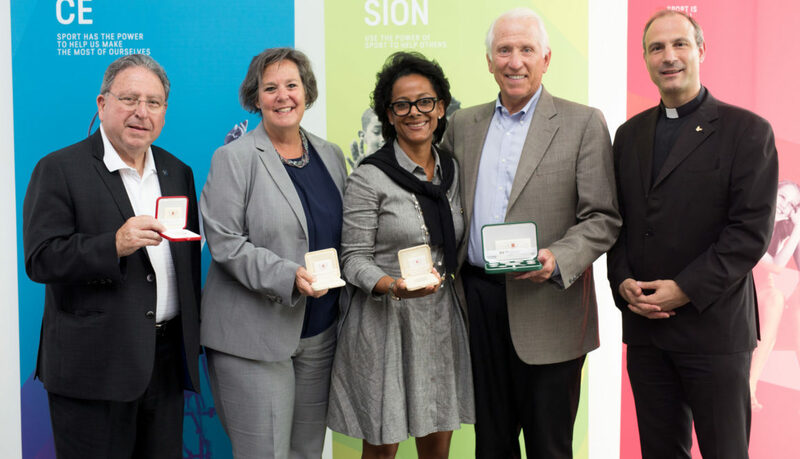 The four mentors connected with their mentees for the first time in Buenos Aires, where they met with International Olympic Committee President Thomas Bach, who was in Argentina for the 2018 Summer Youth Olympic Games. 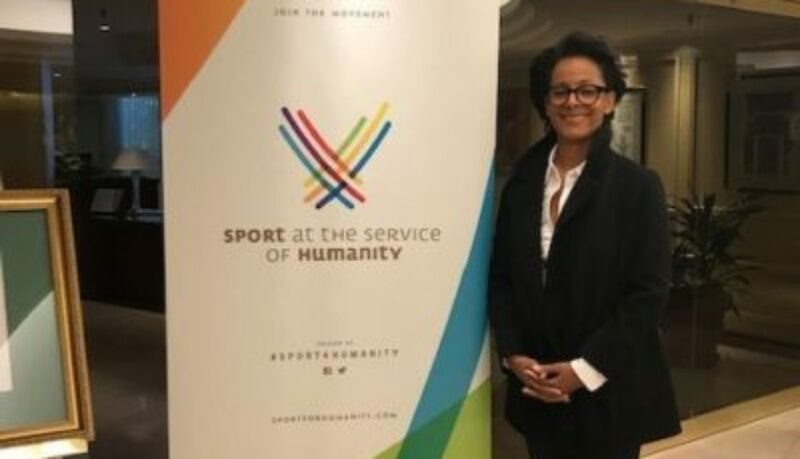 Earlier this year, LA84 co-sponsored the Sport at the Service of Humanity Second Regional Conference at Loyola Marymount University, which brought together leaders in college athletics, education, faith communities, and youth sports to discuss the power of sport to effect positive social change. Simril was also a delegate at the inaugural Sport at the Service of Humanity Conference, held in 2016 at the Vatican. Sport at the Service of Humanity today launched its Young Leaders Mentoring Program, which aims to prepare athletes and young leaders in sport to “Win in Life” and inspire their communities through the power of their example. The program, launched with the support of ISPS Handa, will see four young leaders from South Sudan, Canada, Philippines and Israel embark on a transformational one-year journey under the mentorship of four distinguished sport and business champions. Anjelina Nadai – A 23-year-old track runner from the Kakuma Refugee Camp in South Sudan. She was a member of the Refugee Olympic Team at the Rio 2016 Olympic Games. John Paul Masubay – A 24-year-old football player, coach, mentor and youth leader from Tacloban, Philippines. Shahid Bishara – A 15-year-old female squash player who lives with her family in an Arab town in Israel. She got involved in squash at age 10 as part of a special project that that aimed to help bridge gaps between Jewish and Arab cultures in Israel. “We are delighted to have four very driven and talented young leaders and four highly experienced and distinguished mentors take part in the first Young Leaders Mentoring Program. Every year, new athletes and young leaders in sport will be selected as mentees and carry the Sport at the Service of Humanity message to new parts of the world.